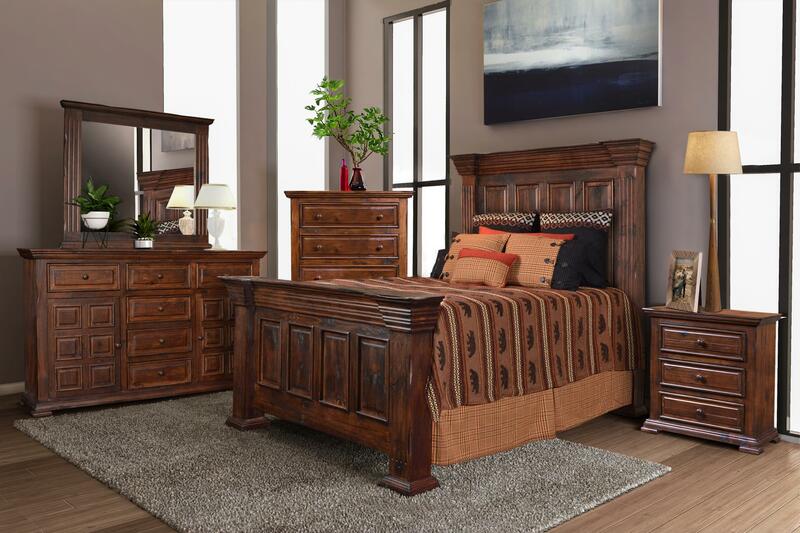 Our Restoration Bedroom Suite is majestic - and an incredible value. The suite includes queen or king bed, horizontal dresser (mirror not included) and 2 night tables. 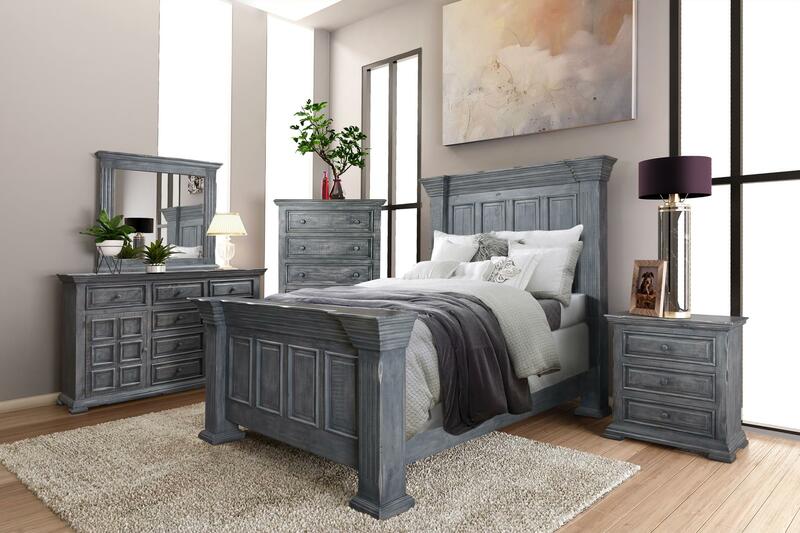 Mexican bedroom furniture pieces crafted in Antiqued dark Grey, distressed white or classic dark finish. 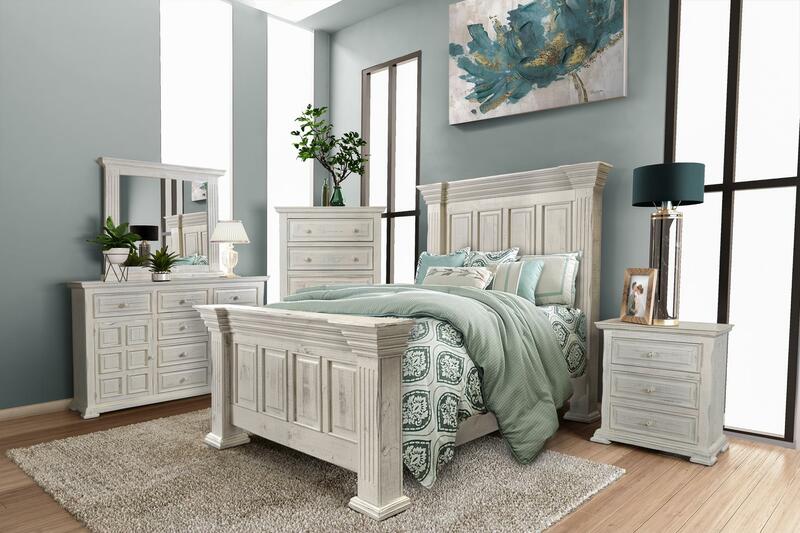 All of it evocative of the passage of time; but oh so much more chic … than driftwood!